Gluten free pecan pretzel bars perfectly balance salty and sweet. Gooey, buttery, pecan filling over pecans, pretzels, and a shortbread crust. I’ve been brainstorming how to combine the salty crunch of pretzels, the sweet nuttiness of pecans, and ooey gooey caramel pecan pie filling together. 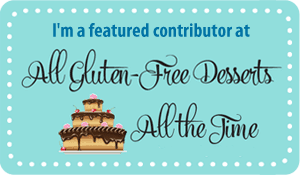 I LOVE my gluten free red chile pecan pie, and I just thought that the salt in the pretzels would make it 1000x more amazing. Just like salted caramel. When you add salt to really sweet things it just tastes good! The pretzels add a different crunch and bite than the pecans. And the salt! And the buttery-ness. It is like a bite of pecan pie perfection! I wanted a nice crisp crust so I just pressed some of my chocolate drizzled lemon shortbread into the bottom of the pan, minus the lemon and the chocolate drizzle. I LOVE this shortbread recipe because it is very light and crisp, just a touch of sweetness, and it really isn’t rich.It makes a really nice base for building the salty, buttery, sweet decadence that these gluten-free pecan pretzel bars become. The shortbread has I Can’t Believe It’s Not Butter, if you don’t have it on hand you can try using Smart Balance, or a vegan butter, or a different butter substitute. Be aware, he water content in those might be slightly different, so it may bake differently or you might need a little less flour. As long as you have a nice smooth dough you should be fine no matter which butter or butter substitute you use. that you can buy. Any of them will work. 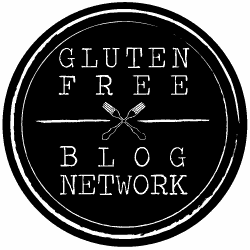 If you are a pretzel fan, like I am, check out my gluten free pretzel donuts! They will change your world. 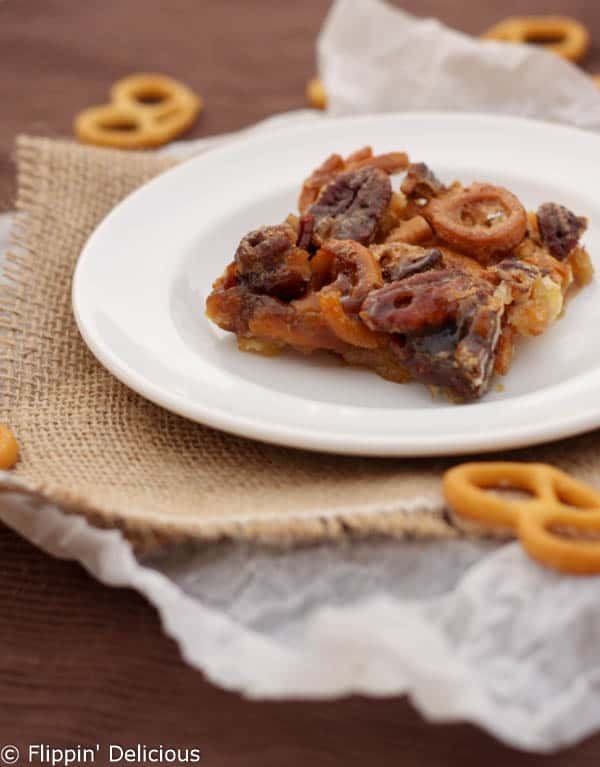 I think you will love these gluten-free pecan pretzel pie bars. So much ooey, gooey, sweet, crunchy, buttery, salty goodness! 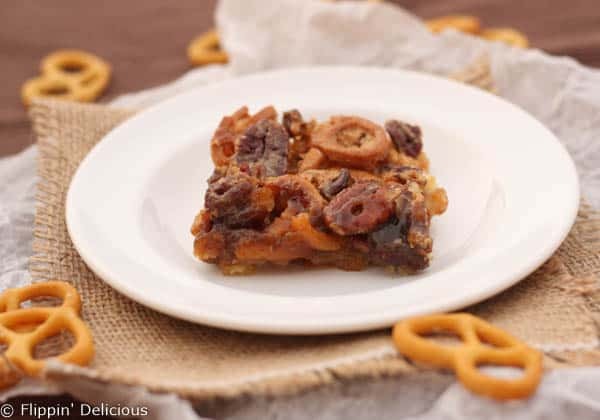 Sweet and crunchy gluten-free pecan pretzel pie bars have all the salty and sweet you need to make your taste buds tingle. 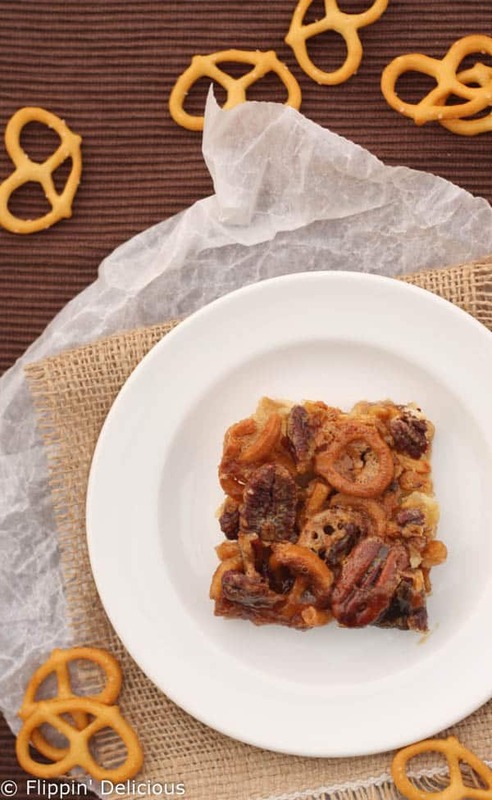 Gooey, buttery, pecan pie filling gently poured over nutty pecans and salty gluten-free pretzels and a shortbread crust. That salty/sweet combo never gets old! Line an 8x8 baking dish with parchment paper, or generously greased aluminum foil. Press the shortbread dough on the bottom of the pan and bake for 15 minutes. Mix together all the ingredients except for pretzels and pecans until smooth. Sprinkle the pretzels and pecans over the par-baked shortbread crust and then pour the mixture evenly over the top. Let cool completely before cutting it into squares. If you don't line the pan with parchment it will stick to the sides and will be difficult to remove the bars cleanly. I didn't use parchment, it was hard to get a clean slice. You'll thank me if you use parchment paper. This looks so yummy!! Pinned. Thank you for sharing with us at Merry Monday!